Ohio didn’t score for the last three minutes of the game, but during those last three minutes, it had a one-point lead against Furman. With about 16 seconds left, the Bobcats just needed to hold against the Paladins for one more possession. Furman guard Le’Jzae Davidson had other plans, though. Davidson hit a 3-pointer as time nearly expired in Countess de Hoernle Student Life Center. The Bobcats had 0.7 seconds left after that, but Dominique Doseck missed a potential game-winning 3-pointer. The Bobcats lost 70-68 against the Paladins on Saturday during their first game of the West Palm Invitational. The Bobcats didn’t lead until the fourth quarter, but the game was close throughout. The Paladins’ largest lead was nine points, which was held near the end of the first quarter. Ohio held Furman down because of its defense, but its offense couldn’t establish the momentum it needed. The Bobcats’ largest lead was two points, but a big part of that was because of the Paladins’ stellar shooting. The Paladins shot 47.1 percent from the 3-point line. Ohio will play its second game of the West Palm Invitational against Virginia on Sunday at 3:30 p.m. It will be the first time in program history Ohio plays Virginia, and it will be Ohio’s third Power 5 opponent of the season. The first two were Michigan and Purdue, and, though they lost to Michigan, the Bobcats were only down by three heading into the fourth quarter of that game. Virginia (4-6), another good shooting team, has shot 38.2 percent from three this season, and it’s coming off a 52-43 loss to Rutgers. After a heartbreaking loss to the Paladins, the Bobcats have a chance to prove themselves quickly because of their game Sunday against the Cavaliers. On top of that, the Bobcats have gone through a bevy of experiences in non-conference play, and this invitational gives them a chance to build upon those experiences. A game-winning layup from freshman guard Cierra Hooks against Marshall; a second half turnaround against Eastern Kentucky; a close win against a quality Purdue team. These games, ones where the Bobcats have needed to excel in situational basketball, provide them a chance to build (5-4) the battle-tested makeup they’ll need come Mid-American Conference play. 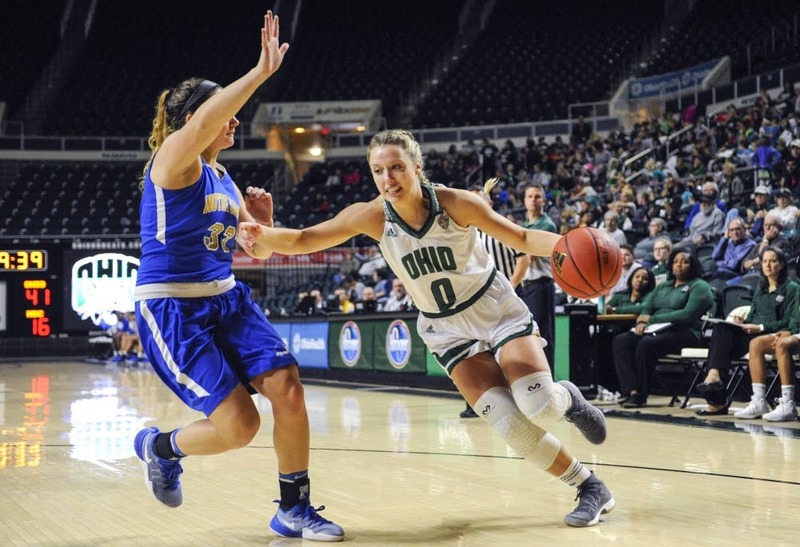 Ohio will start MAC play Dec. 31 at home against Toledo, the reigning conference champions. “It’s the nice thing about the non-conference schedule is you get presented all these different obstacles, and you gotta deal with them,” Boldon said.